If you’re watching live TV on Media Center and need to pause it while you do something, it’s annoying to come back to see it playing again. Here we show you how to increase the default pause buffer so you don’t miss important show highlights. 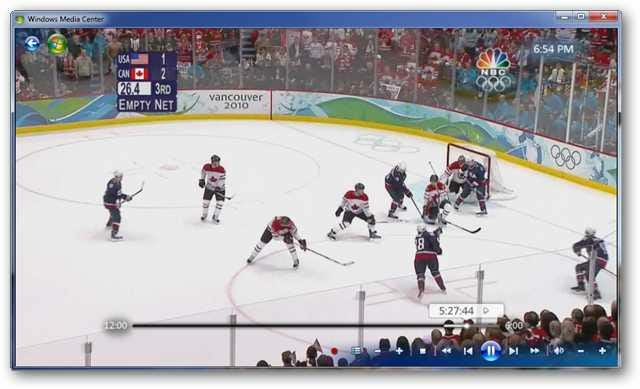 Have you ever needed to hit the pause button while watching Live TV in Windows Media Center? Maybe you had to take an important call only to come back and find that your paused show has started playing again on it’s own? Windows Media Center has built in pause buffer of 40 minutes. If that just isn’t enough time for you, let’s take a look at how to edit the registry to increase the Live TV pause buffer so you don’t end up missing those important TV moments. Click once on the DVR key to display the values on the right panel. 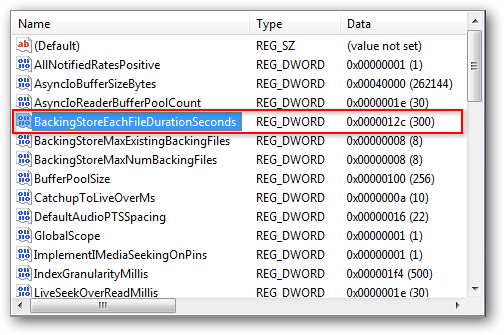 Find the BackingStoreEachFileDurationSeconds value on the right side. 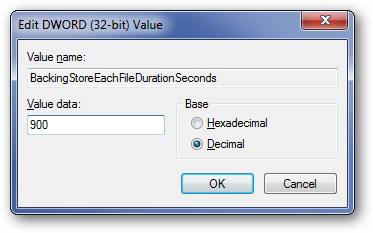 Double click on BackingStoreEachFileDurationSeconds to open the Edit DWORD Value window. Make sure to click on the Decimal radio button on the right to ensure you are editing the decimal value instead of the hexadecimal value. This is where we need to do a little math to figure out what Value data to set for our preferred buffer length. The default buffer time is 40 minutes, or 2400 seconds. This is calculated by taking the BackingStoreEachFileDurationSeconds value (300 seconds) and multiplying it by the BackingStoreMaxExistingBackingFiles and BackingStoreMaxNumBackingFiles value (8) to come to a total of 2400 seconds, or 40 minutes. Confused yet? Here’s a quick little conversion chart to ease the calculating. So, if you want to set your pause buffer to 120 minutes, change the decimal Value Data of BackingStoreEachFileDurationSeconds to 900. Click “OK” when finished and exit out of the Registry Editor. You will need to reboot your computer before these changes will take effect. Now you can pause Live TV and have more time to take care of those pressing matters without missing critical moments or important plot points. 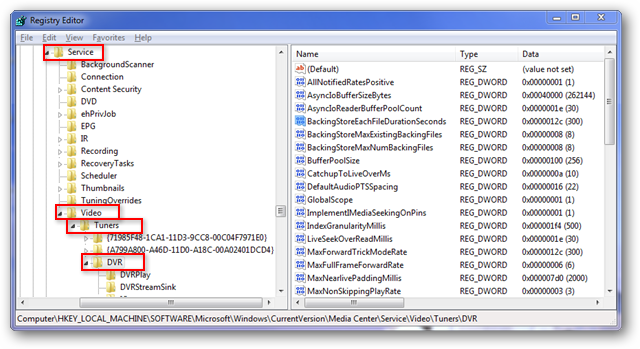 If you like this tip helpful, you may also want to check out our article on increasing the skip and replay intervals in Windows 7 Media Center.